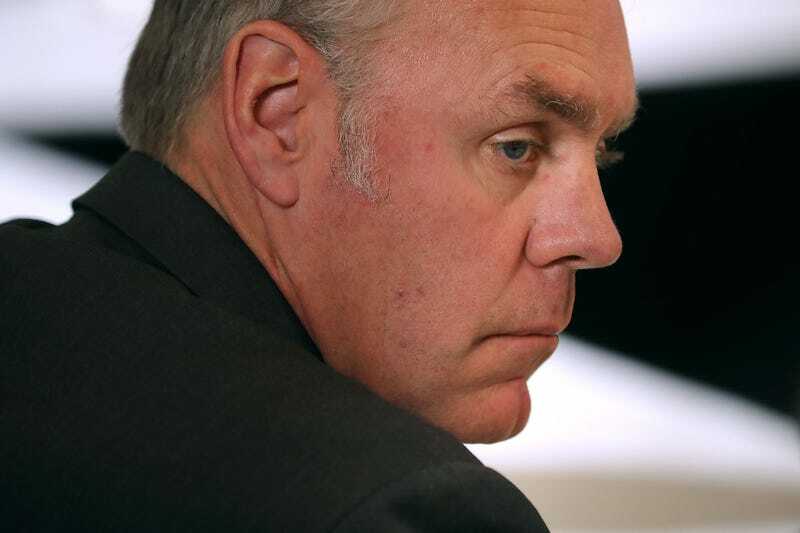 Native American senior officials of the Interior Department were disproportionately reassigned under Interior Secretary Zinke, according to a review by Talking Points Memo. Less than 10 percent of the Interior’s employees are Native American, but made up nearly one third of the employees caught up in reassignment shuffle last summer. The news comes less than a week after reports that Zinke constantly talks about how he doesn’t care about diversity. Weird! Of the 33 reassigned staffers, at least ten are members of Native tribes, including the Chickasaw Nation, Miami Nation, and Ogala Sioux. Many other staffers were black and Latino. “As a woman who has worked for him for a number of years in senior positions, I say without a doubt this claim is untrue, and I am hopeful that they are a result of a misunderstanding and not a deliberate mistruth,” said Swift, in a statement that might have been worth noting if the concern here was gender-based discrimination. If Zinke was hoping to quietly turn the Interior into a safe space for white people who want to turn tribal lands into oil refineries.... well, it’s not so quiet anymore.